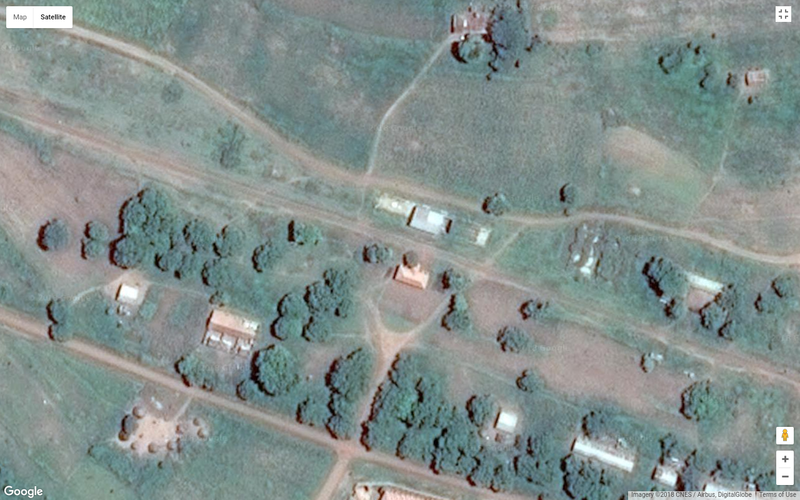 We are at the border between Uganda and Kenya. 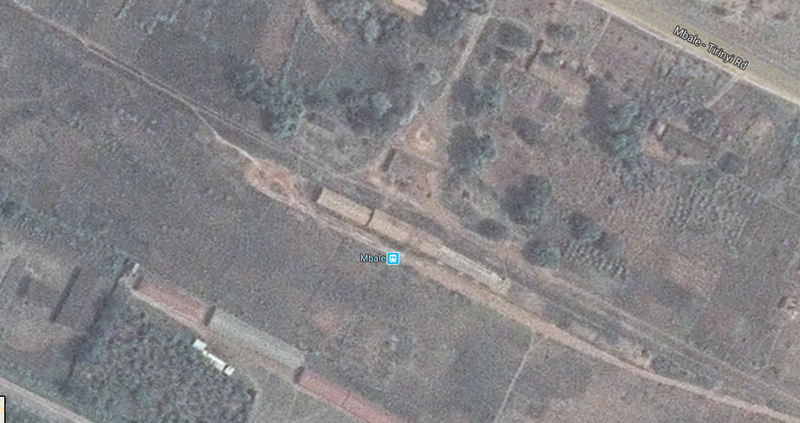 The railways have been in a reasonable condition over much of our journey to Malaba. 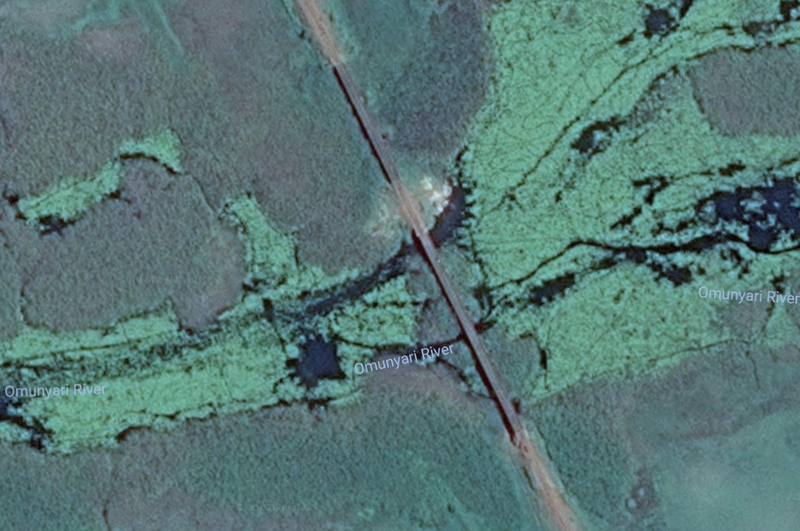 A few of the branch-lines have deteriorated badly and the ride along the main-line has not been all that smooth. 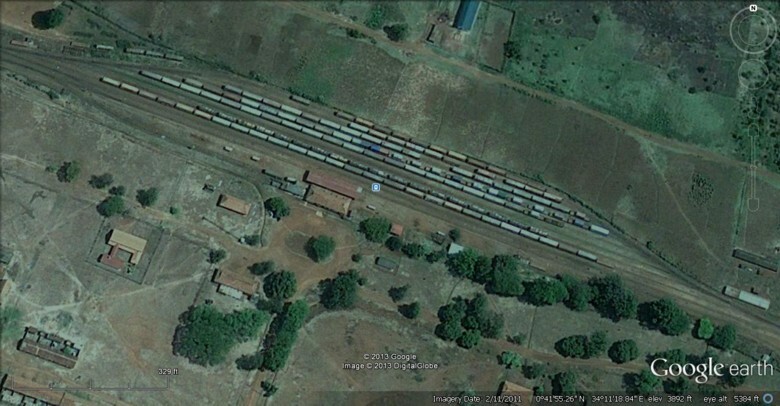 Sadly, as we travel into Uganda, things get a lot worse. 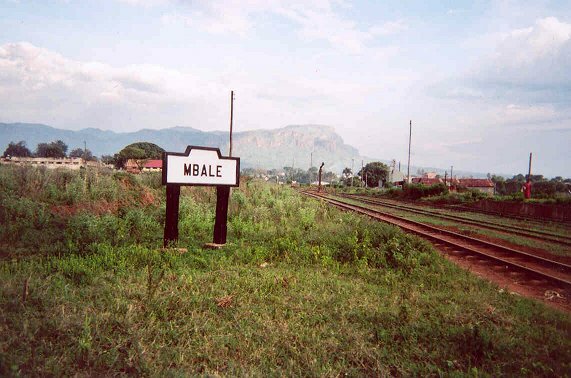 Given that the first pictures I’ve found relate to a journey from Malaba to the North of Uganda, we will follow the branch-line first and return to the route of my own, 1994, journey later. 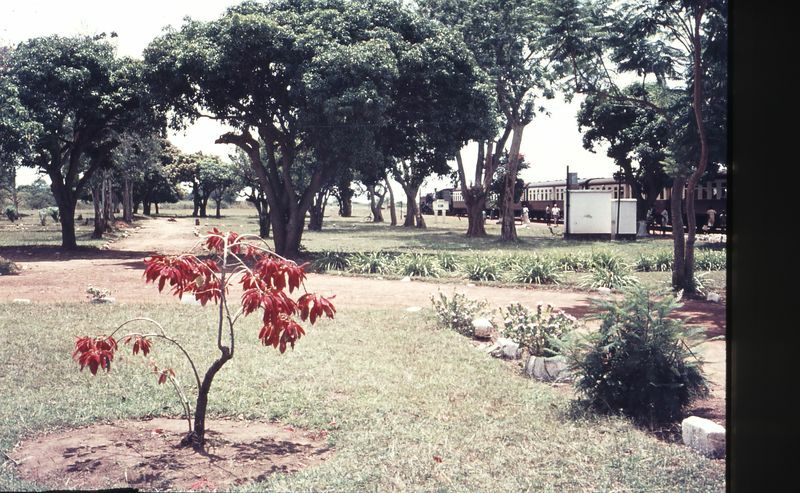 Suffice to say that , in 1994, we arrived at Tororo in the early hours, between 3am and 4am. 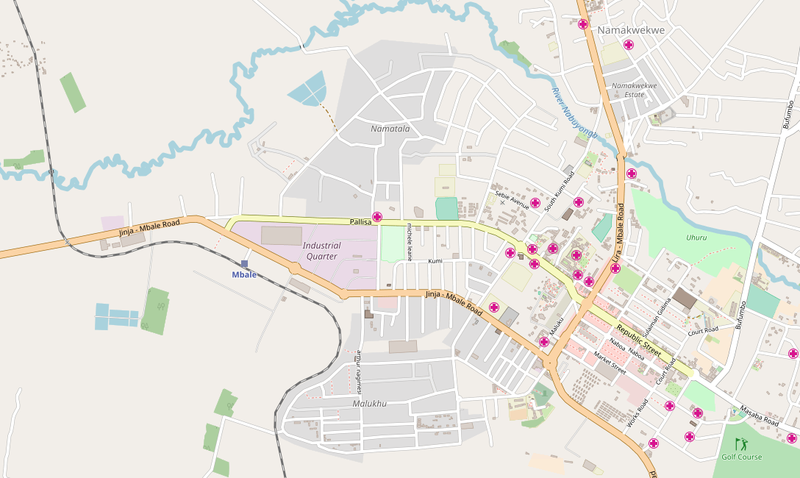 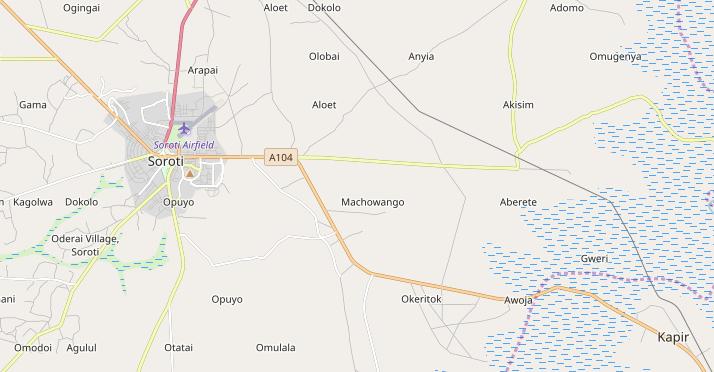 I was awoken from my sleep at Malaba, supposedly for a passport and visa check which did not happen, and I was just beginning to settle again when we passed through Tororo in the dark on our way to Kampala. 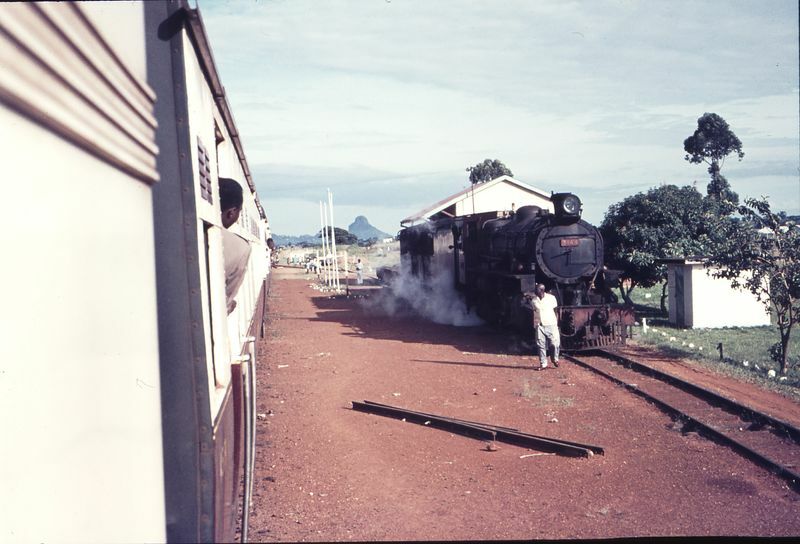 111470: Tororo Uganda Passenger for Pakwach 6023 and Shunter 1106, © Weston Langford. 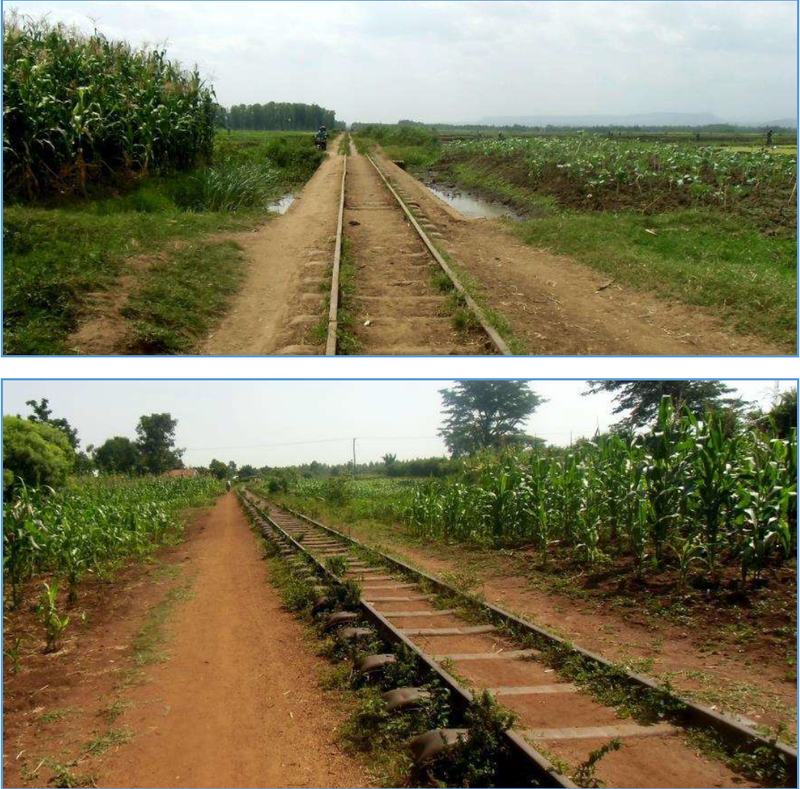 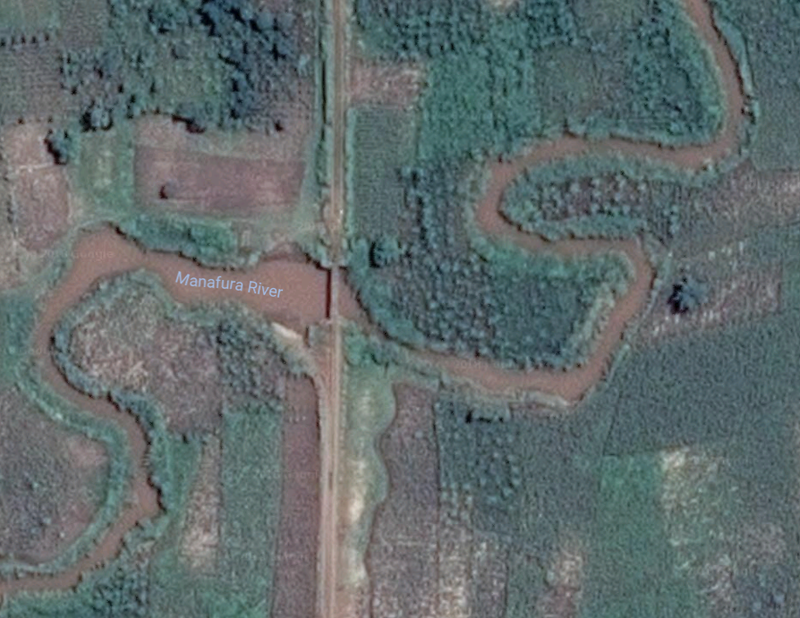 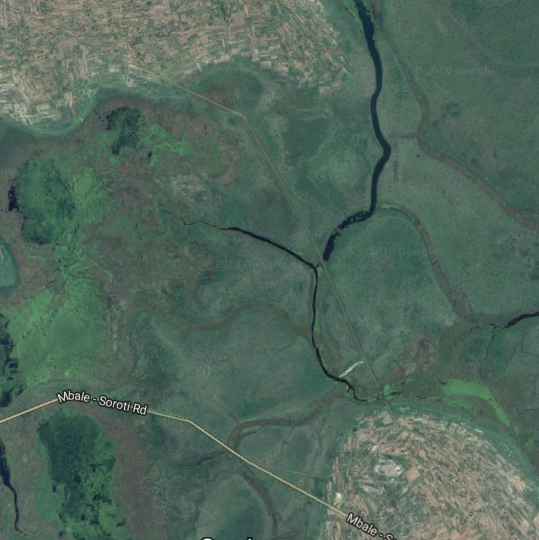 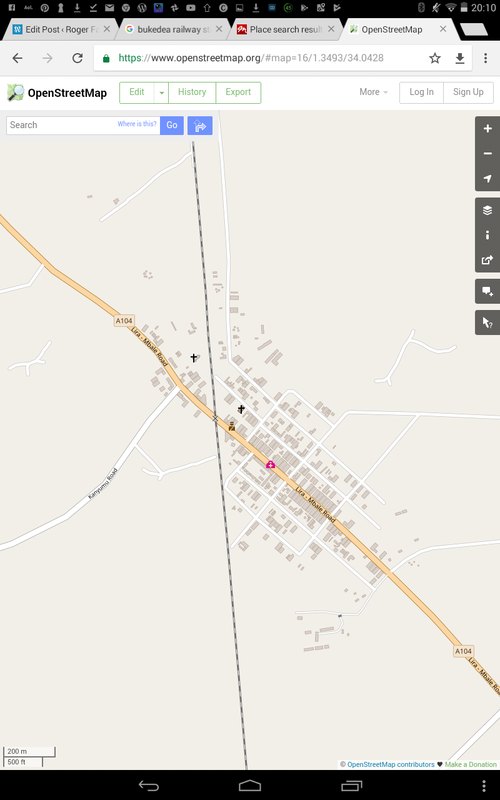 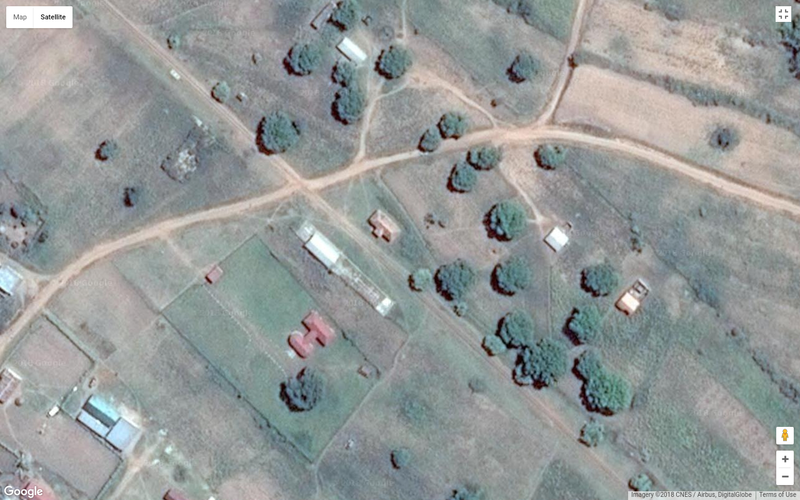 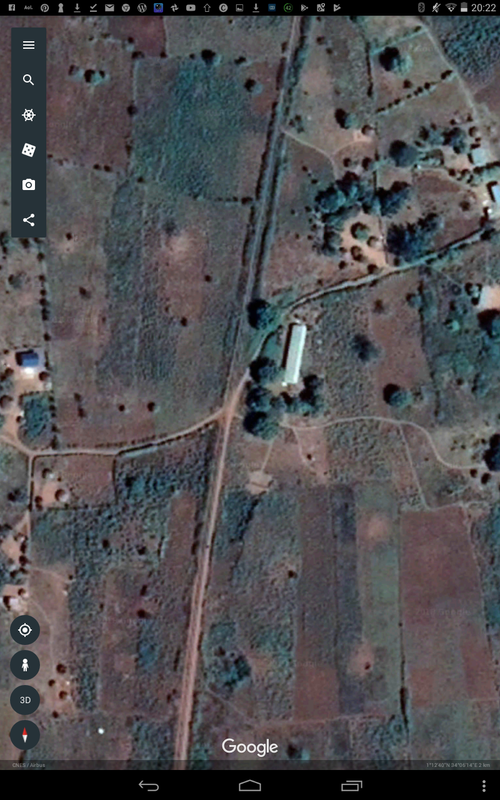 The branch-line to the north of Uganda was closed for a very long time. 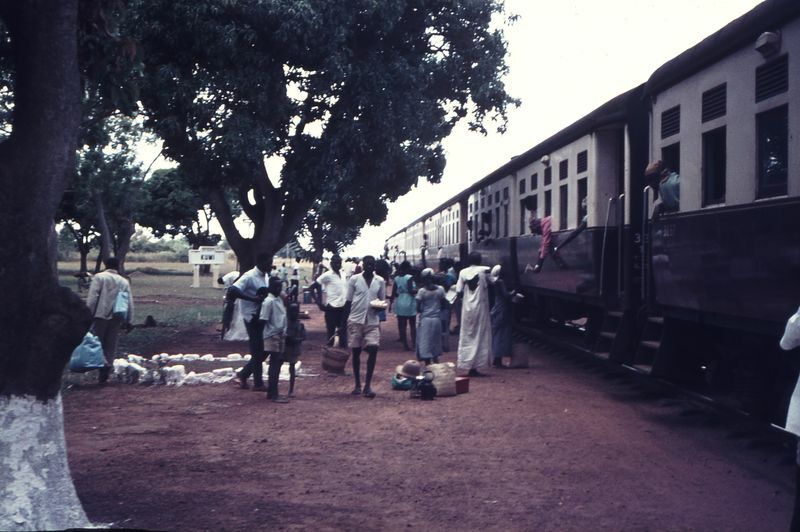 In the 1970s, Idi Amin was influential in the break up of the east Afrian community and the transfer of the railway from the East African Railways and Harbours to the control of Uganda Railways. 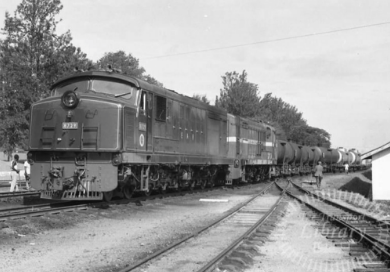 In subsequent years, tacks were stolen for steel, engines broke down and no spare parts were available, and the railways became so unreliable that they were effectively useless. 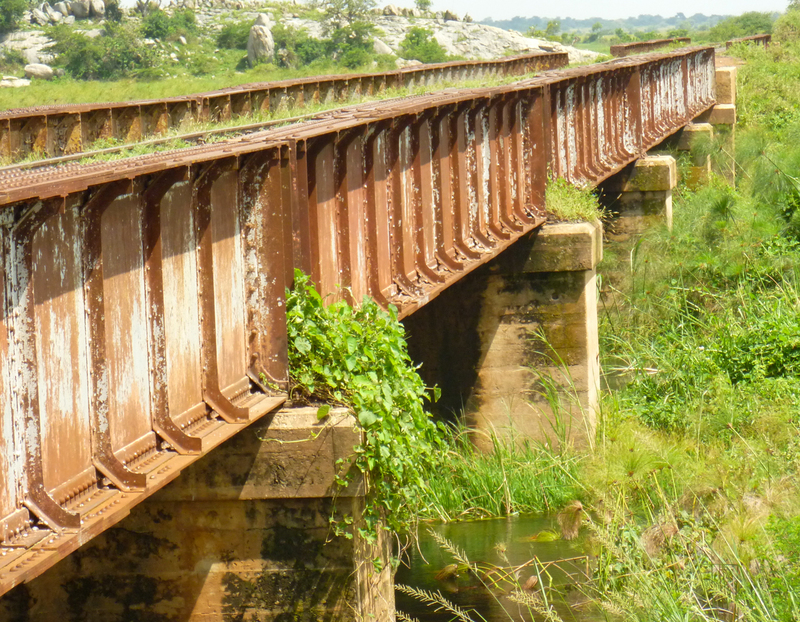 There was a brief period in the 1990s when some semblance of proper services were restored but ultimately to no avail. 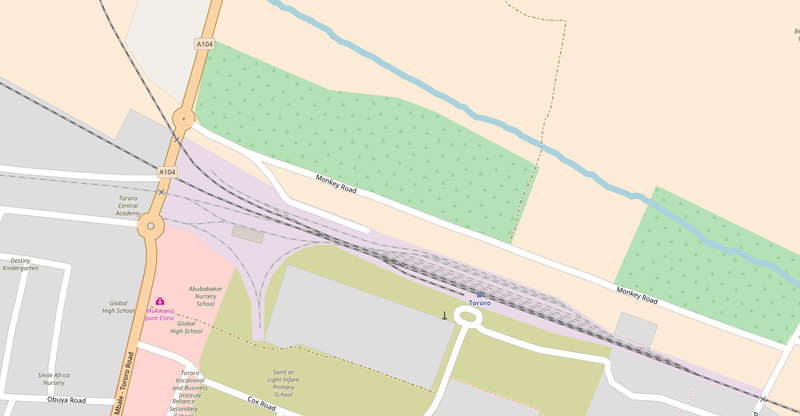 This is a short video about the opening of the branch-line. 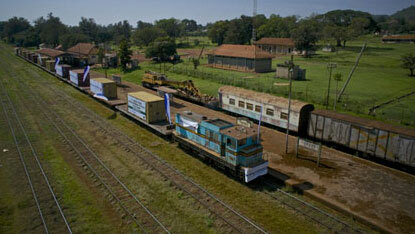 The work was done before considering the work necessary on the mainline. 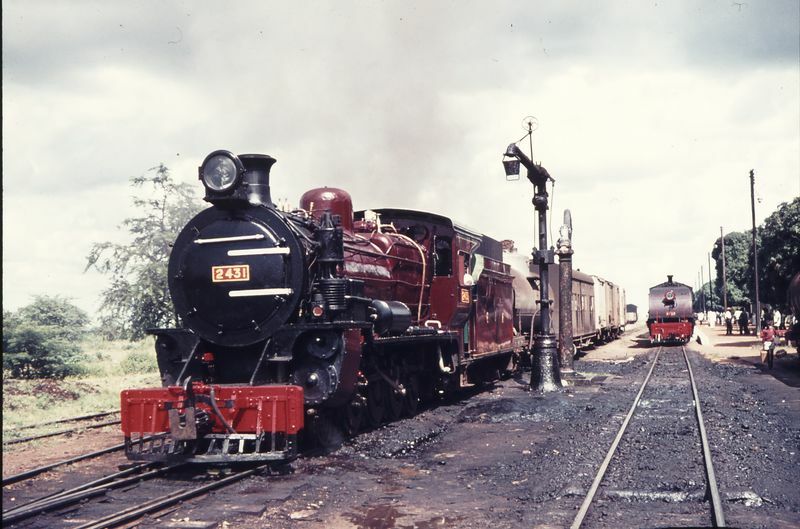 The two following images from The Transport Library show diesels at Tororo in 1971. 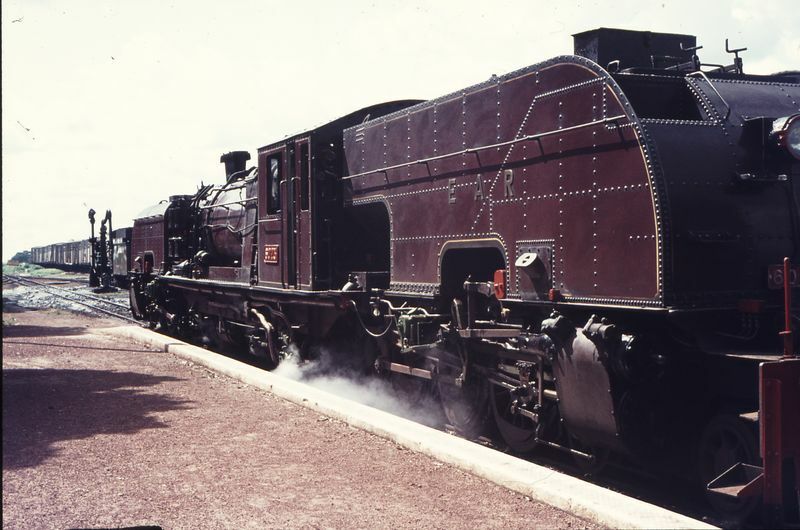 Class 1-CO-CO-1 Diesel No. 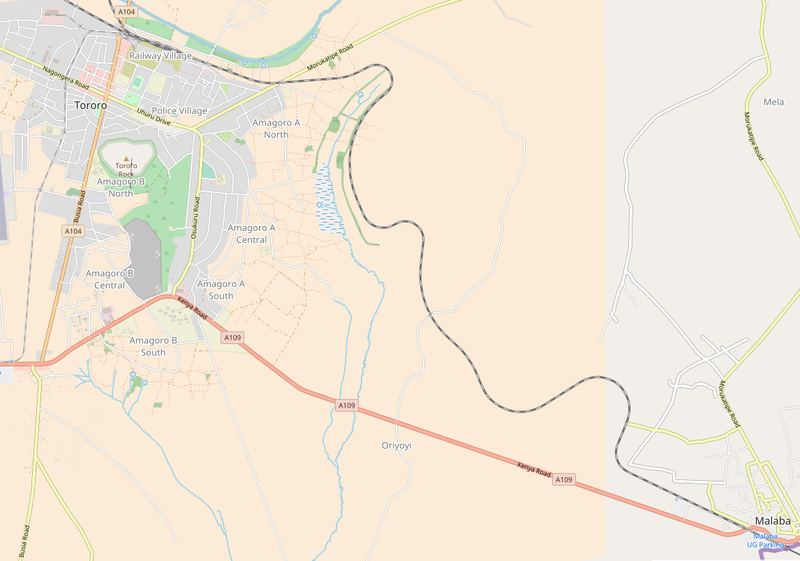 8729 © Charles Gordon-Stewart. 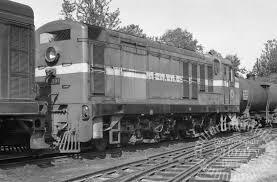 Class 1-Bo-Bo-1 Diesel No. 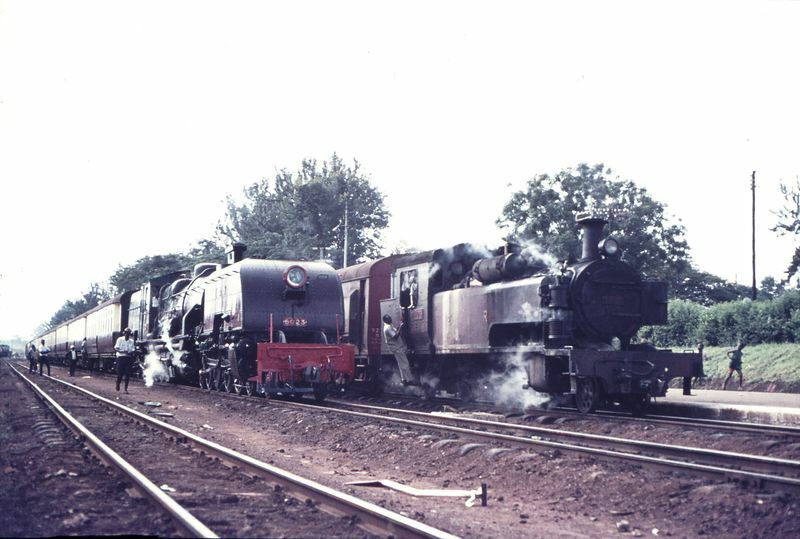 7102 © Charles Gordon-Stewart. 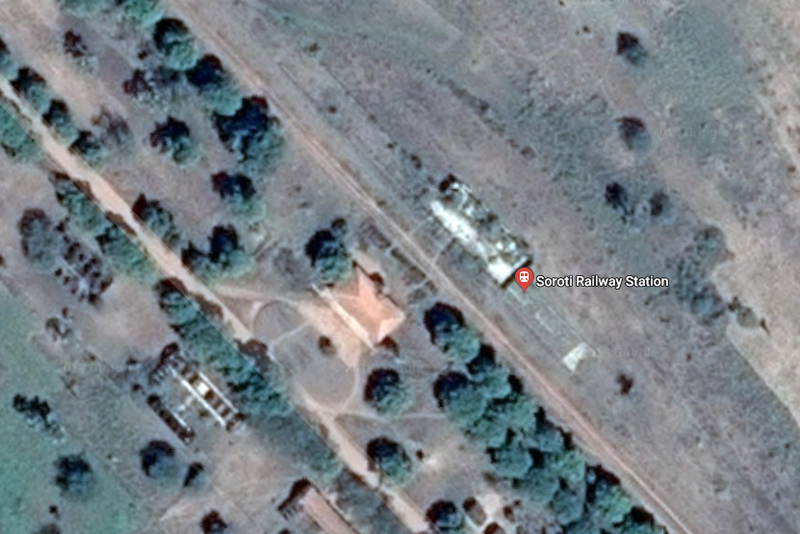 The three images of Tororo Station above come from a report by Dr R Choudhuri. 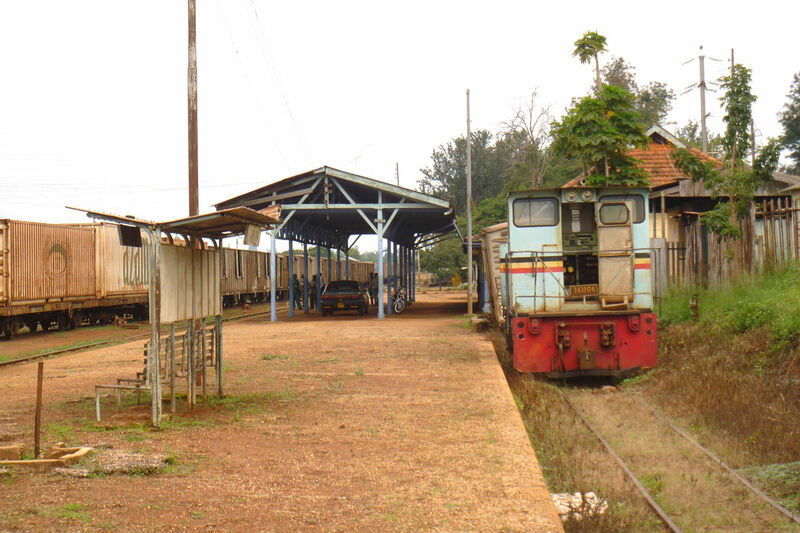 Tororo Yard in 2014. 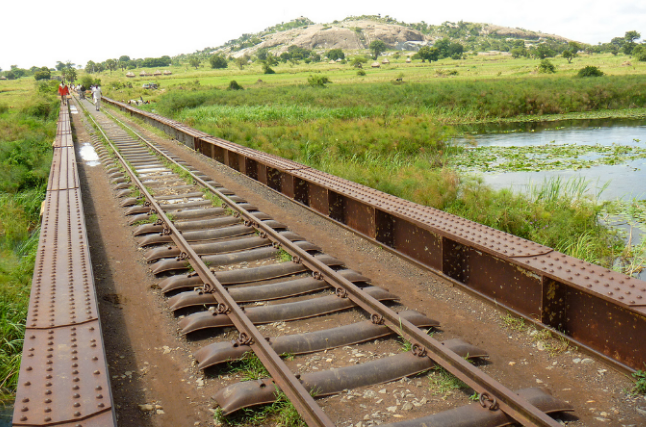 The northern branch (above) left the mainline immediately to the west of Tororo. 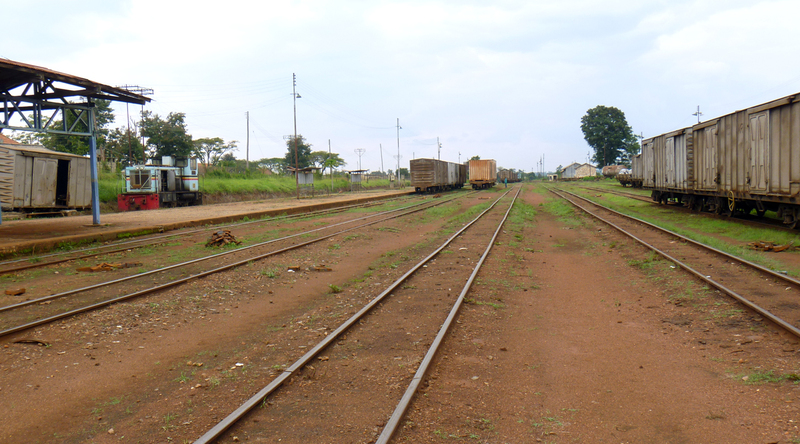 The western end of Tororo Station Yard, the right-hand track heads off up the branch we are following. 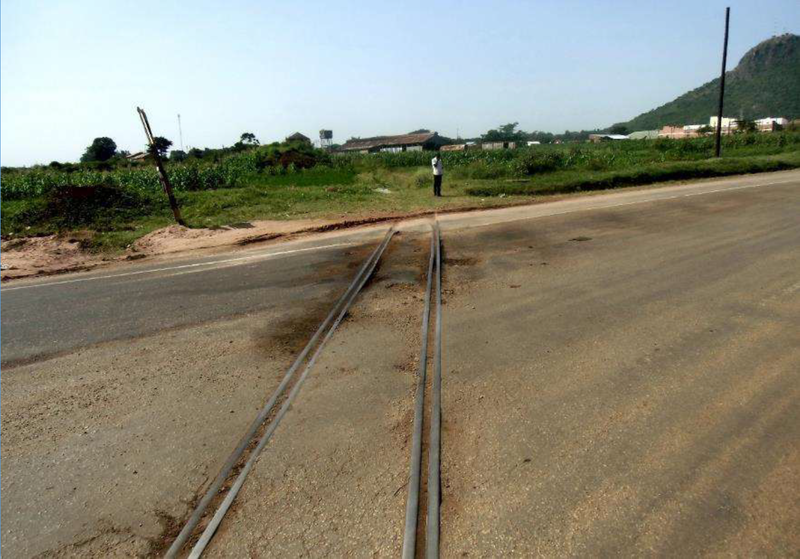 Level Crossing close to Tororo. 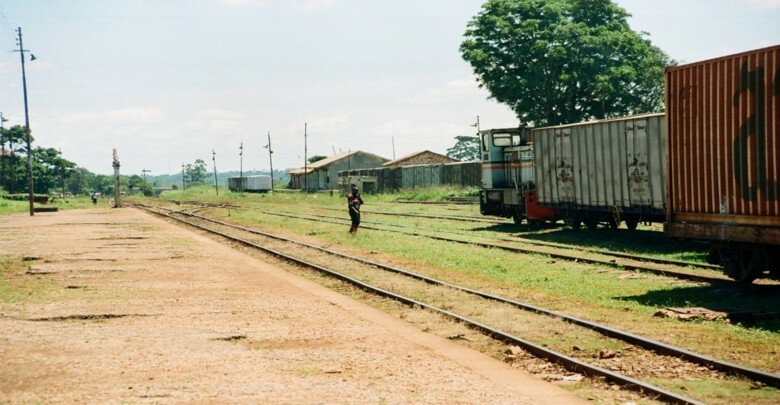 A 60 Class with a passenger train at Bukedea, The train was booked to take four and a half hours from Tororo to Soroti where it was scheduled to arrive at 1205 before continuing on to Lira at 1400. 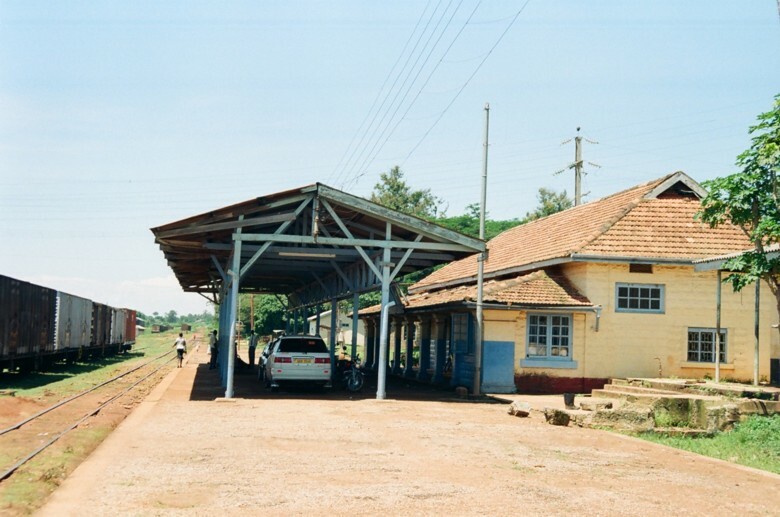 The booked time to Lira was 4 hours 40 minutes.No first class accommodation was available and the trains were scheduled to connect with the daily 2nd and 3rd Class only train between Eldoret and Kampala and vice versa, (c) EAR&H. 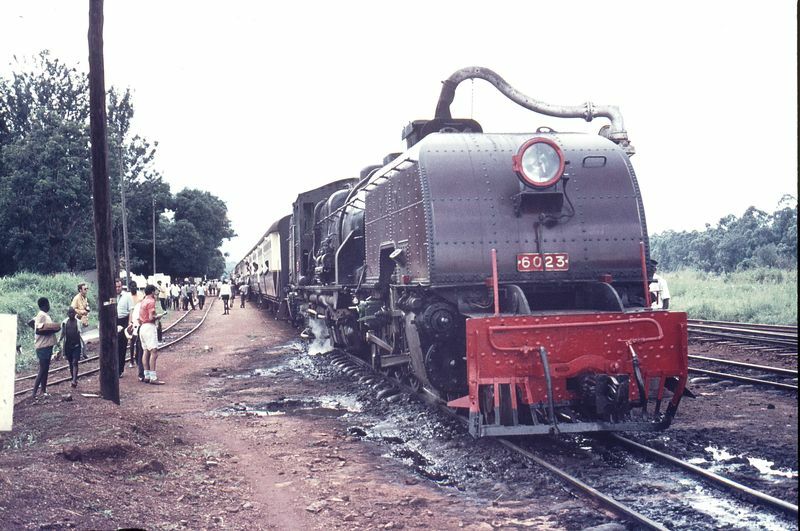 Kumi 111480 and 111481: Two pictures taken at Kumi Station, Uganda of a Northwest-bound Passenger Train taken in August 1971 behind Class 60 Garratt No. 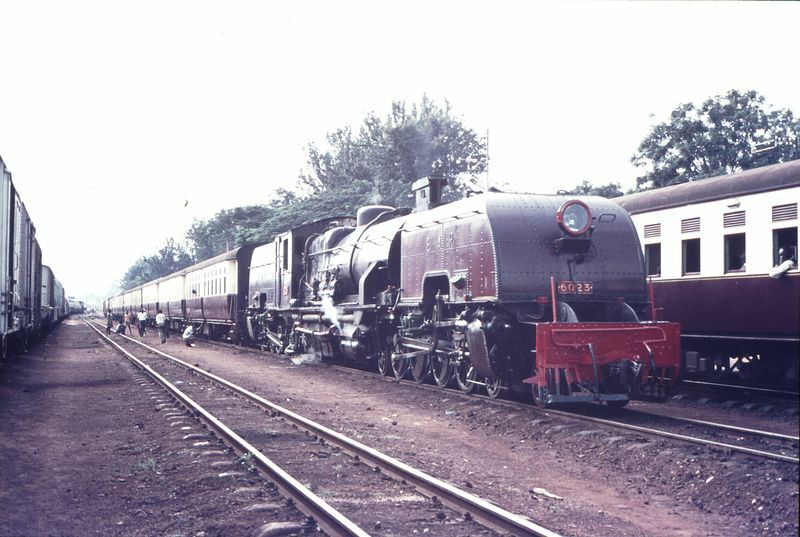 6023, © Weston Langford. 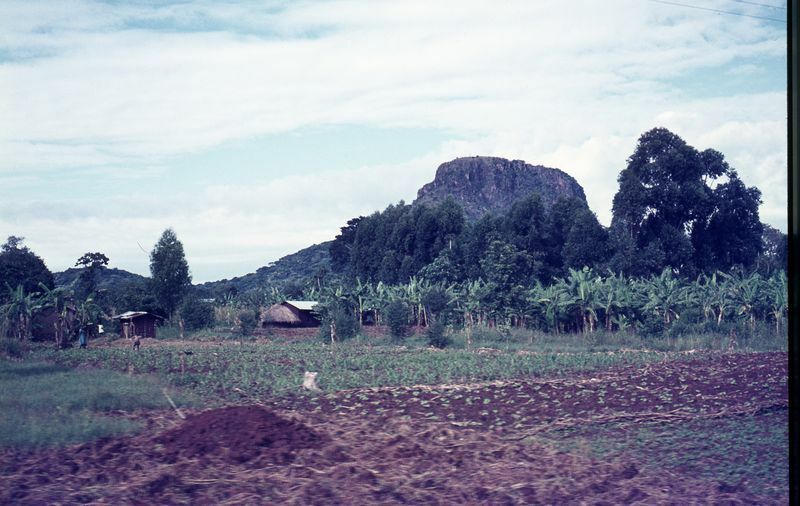 Okungulu (or Okunguru). 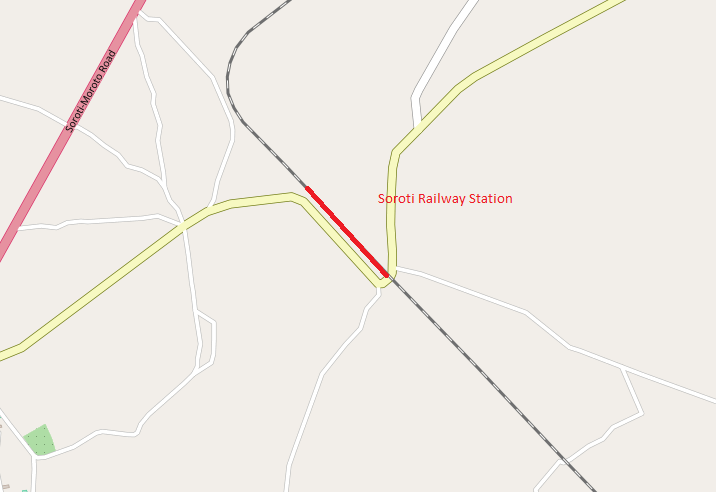 We finish this leg of our journey at Soroti Railway Station. 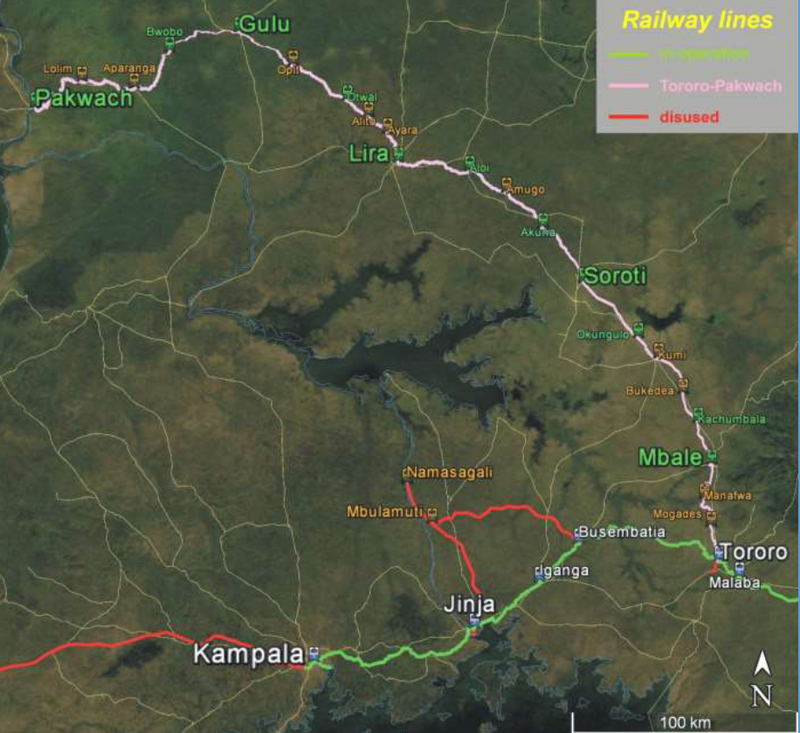 https://theeye.co.ug/lunatic-express-potted-history-uganda-railway, accessed on 1st June 2018.
http://www.railwaygazette.com/news/news/africa/single-view/view/ugandas-northern-line-reopens.html, accessed on 1st June 2018.
https://en.wikipedia.org/wiki/Tororo, accessed 21st May 2018.
https://thetransportlibrary.co.uk, accessed on 1st June 2018.
http://pratclif.com/RC/ranjit-visit.html, accessed on 1st June 2018.
https://commons.wikimedia.org/wiki/File:Uganda_railways_assessment_2010-2.jpg, accessed on 1st June 2018.
https://commons.wikimedia.org/wiki/File:Uganda_railways_assessment_2010_-_Flickr_-_US_Army_Africa_(6).jpg, accessed 11th May 2018.
http://www.works.go.ug/wp-content/uploads/2017/02/1604-Tororo-Pakwach_Consultancy_of_feasibility_Final%20Report_2016-10-18.pdf, accessed on 1st June 2018.
https://commons.wikimedia.org/wiki/File:Uganda_railways_assessment_2010_-_Flickr_-_US_Army_Africa_(8).jpg, accessed 11th May 2018. 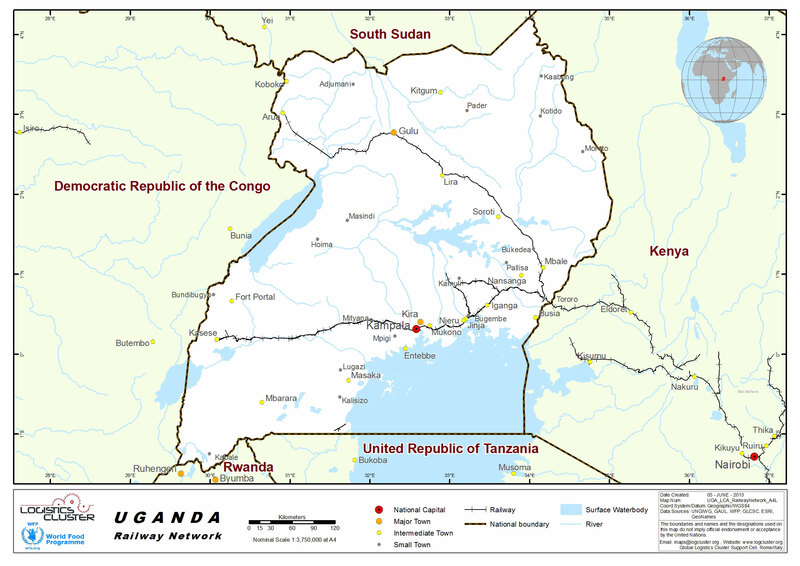 This entry was posted in Railways Blog, Uganda and Kenya Railways on June 1, 2018 by rogerfarnworth.